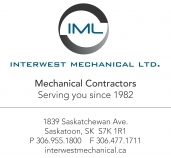 The Saskatchewan Construction Association is the strong provincial advocacy voice of Saskatchewan's dynamic construction industry. Few people realize just how important the construction industry is to the Saskatchewan economy. SCA's 1,300 member firms are involved in all aspects of this diverse industry. They carry out industrial, commercial, institutional, and heavy construction as well as build multi-unit residential complexes. The SCA is committed to providing consistent value to our members through all of our activities. Our 2015-2020 Strategic Plan outlines our commitment to our members through our strategic priorities: workforce development, communications, membership service and SCA Operations; and our vision and mission statements. The SCA provides collaborative and trusted leadership that sustains a prosperous construction industry and a better quality of life for the people of Saskatchewan. The SCA’s Guiding Principles inform the association’s work and policy positions. Where the association lacks a formal policy to address a given issue or situation, these principles provide the test and frame of reference for understanding the direction the association will move in when developing a course of action or advocacy position. We oppose policies that threaten the investment attractiveness of Saskatchewan or Saskatchewan communities. As an SCA Member, your firm is committed to advancing the construction industry in the province. Your annual membership in a local construction association integrated with the SCA provides you with automatic membership in the Canadian Construction Association (CCA) and is one of the best investments you will ever make. The information and publications you will receive are well worth this investment in your local construction association each year.